Wycombe Town FC: PRE-SEASON TRAINING STARTS! With the new season approaching fast, pre-season training starts this Tuesday 9th July, at 7pm on the Rye, near the changing rooms. All players welcome including past, existing and new players, also it's your opportunity to sign on, as we mentioned we will be running our first team in the Premier division our Reserves in second division and our youth team in the South Bucks Youth League. We will have the latest information on the 6-a-sides booked and the preseason games being sorted...also news about our new sponsors. 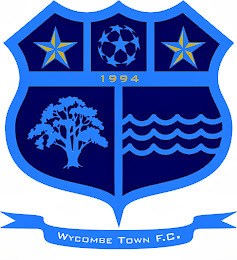 Just turn up at our training sessions or contact us at wycombetownfc@btinternet.com or www.wycombetownfc.blogspot.com...everyone welcome!! !